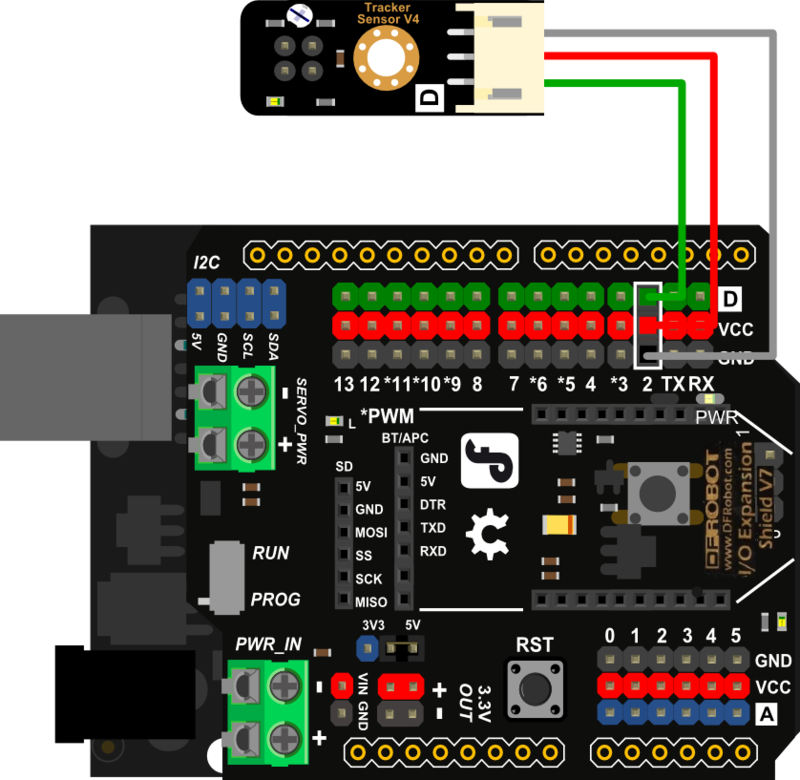 The DFRobot Line Tracking Sensor for Arduino can detect the white lines in black and black lines in white. The single line-tracking signals can provide a stable output signals TTL, so look for more accurate and more stable line. Optional multi-channel mix is easy to install with the necessary line-tracking robot sensors. Version Update The best distance between objects such as ground and the sensor is 1-2 cm. V5 cancel the variable resistor, It is easy to use now. Get Digital Line Tracking(Following) Sensor For Arduino from DFRobot Store or DFRobot Distributor.